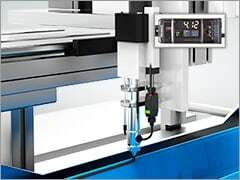 Automatic operation allows any user to capture 3D surface data in 1 second. 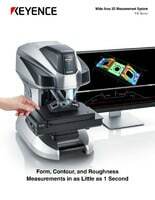 Automatic operation allows any user to capture 3D surface data in 1 second. 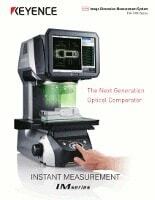 Quickly and accurately measure parts that traditional contact-based systems struggle with. The IM Series dimensions and automatically reports up to 99 critical features at the push of a button; Making this the most productive 3 seconds of your day! Regulations on packaging are becoming stricter every year. 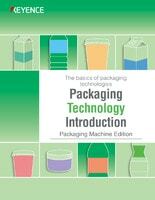 Download this guide to learn about the latest packaging technology including industrial inkjet printers. 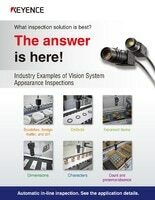 This guide introduces successful inline automation solutions that answer these questions. 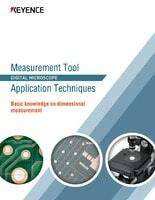 Check out 7 unique measurement techniques to improve accuracy with a digital microscope. This guide introduces our IV vison sensor, which can be set up in just 1 minute! 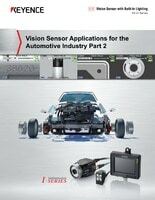 Where other sensor struggle, the IV is effective for inspecting targets with several features. Easily confirm shot amounts of sealants, adhesives, lubricants, etc. 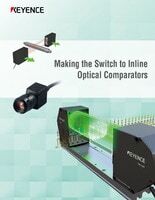 with a repeatability less than 0.01mL.